MISO will soon file a proposal with FERC to relieve its overfilled generation queue by implementing more stringent site control requirements and increasing the milestone payments imposed on project owners. The proposal is down to a final review from the Planning Advisory Committee, stakeholders learned during the committee’s Nov. 14 meeting. MISO Resource Interconnection Planning Manager Neil Shah said the RTO will file the queue changes before the end of the year. “Why is MISO revising its queue again when it just did a queue redesign two, three years ago? And the answer is, yes, the queue reform implemented in 2017 is working, but there are areas that we need to tweak because MISO’s queue is getting clogged with numerous projects,” Shah said. MISO will now define site control as 50 acres/MW for wind generation, 5 acres/MW for solar generation, 0.1 acre/MW for battery storage and 10 acres for other resource types. An interconnection customer that wants to secure less land than required will now have to hire consultants to prove their project does not require the full amount of space. Documentation of exclusive site control will now be due 90 days before MISO begins queue studies. The RTO will also no longer accept a $100,000 cash fee in lieu of site control. Shah said 75% of the projects entering in the April 2018 cycle and 62% of the projects entering in the August 2017 cycle elected to pay the $100,000 fee instead of demonstrating site control. However, MISO will still allow interconnection customers experiencing regulatory holdups to submit a refundable, $10,000/MW fee along with detailed documentation and affidavits demonstrating the restrictions. It will also change the first milestone payment from a $4,000/MW fee to 10% of the average network upgrade cost from the RTO’s last three DPP cycles. The second and third milestone fees will remain unchanged at 10% and 20% of network upgrades costs found in system impact studies, respectively. MISO will now withdraw a project before the queue’s second decision point if the customer fails to demonstrate exclusive site control. The proposal also alters MISO’s current practice of refunding 100% of the first and second milestone payments at the two decision point “off ramps” embedded in the queue, where projects can drop off without risking the most recent fees. The RTO will now only refund 50% of the first milestone payment at the first decision point and 75% of the second milestone payment if a project withdraws at the second decision point. Shah said MISO is expecting another heavy round of queue entrants in the first quarter of 2019 and that the changes will help in the long term to limit the number of projects that enter and trigger multiple studies. The queue currently contains nearly 80 GW worth of generator projects. Multiple stakeholders thanked MISO for researching and proposing the queue changes. “I really appreciate MISO making these changes to progress the queue and not allowing it to reach a stalemate. I really hope this will make things better so we can do our job at the state level,” Minnesota Public Utilities Commission staff member Hwikwon Ham said. Additional work on the queue will continue in 2019. The Interconnection Process Task Force (IPTF) will work early next year to propose rules that allow hybrid generation interconnections and two generators to share one point of interconnection. Reviewing how many projects submit cash versus a letter of credit for milestone fees, possibly opening the credit practice to changes. MISO will also be providing the IPTF with a facelift after agreeing to convert the task force into a more permanent working group. The IPTF was set to sunset in January. In MISO’s stakeholder structure, working groups are more permanent than task forces, which have an expected sunset date. The Steering Committee approved the move by general consent on Nov. 15, adopting the October consensus from the PAC. MISO’s eight voting stakeholder sectors voted 5.33 in favor, with 0.67 opposed and two abstentions, to convert the task force into a working group. (See MISO Stakeholders Rally to Save Interconnection Group.) MISO sectors are allowed to split their votes based on differing organization and company opinions within a sector. Seeing the “overwhelming” vote in favor of the move, MISO Director of Planning Jeff Webb said the RTO will now support the move, despite initially opposing the change. MISO had initially recommended the IPTF merge into the Planning Subcommittee, because both deal with technical issues of modeling and study processes used in its annual Transmission Expansion Plan. Webb said the RTO believed that a group merger was “pretty consistent with … MISO’s stakeholder redesign,” which discourages duplicate discussions across stakeholder groups. However, he said MISO will be able to continue to provide staff, liaisons and meeting space for an Interconnection Process Working Group. PAC Chair Cynthia Crane said it was important for MISO to recognize the strong stakeholder consensus to preserve a working group. Parent entities will be responsible for bringing retirement recommendations before the Steering Committee. The revisions also specify that the Advisory Committee can vote to “uphold or modify” Steering Committee retirement recommendations, particularly if the Steering Committee, the group in question or the parent entity disagree on whether to retire the group. 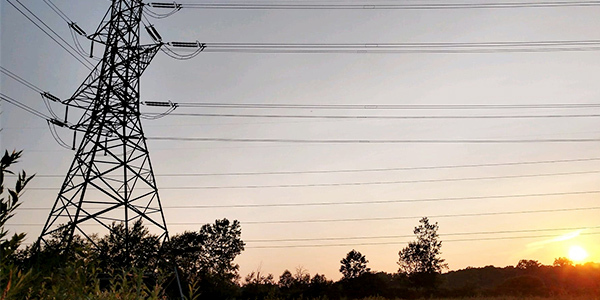 MISO is postponing a second attempt at changing its generator interconnection queue rules while it assesses FERC feedback.